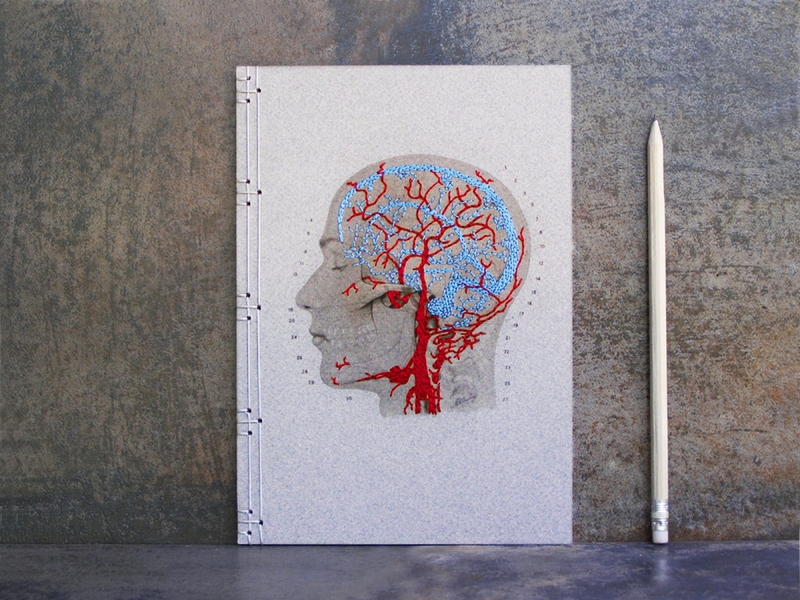 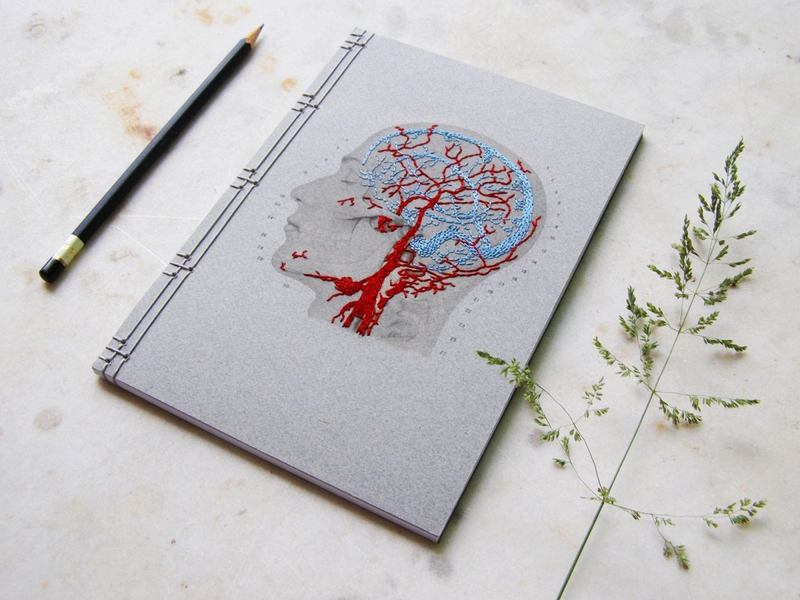 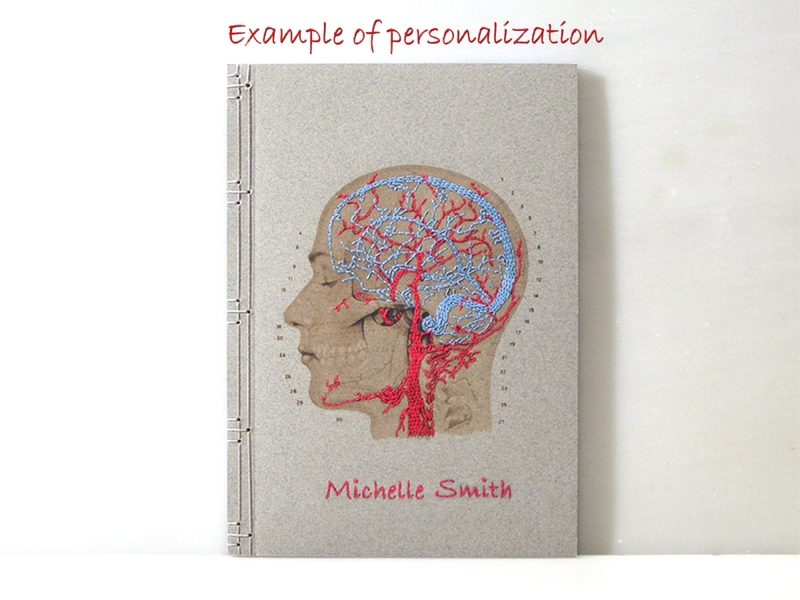 Front cover of a gray card stock, with a partly embroidered vintage print of an Anatomical Head showing details of Venous and Arterial circulation system, using vivid red cotton threads for the blood flowing arteries, light blue for the blood flowing veins. 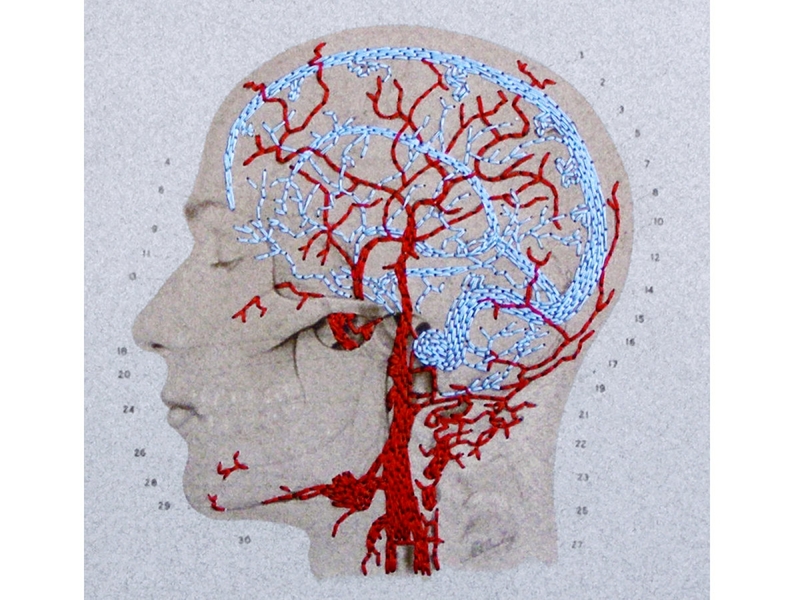 The threads take the place of the real blood to create a three dimensional effect. 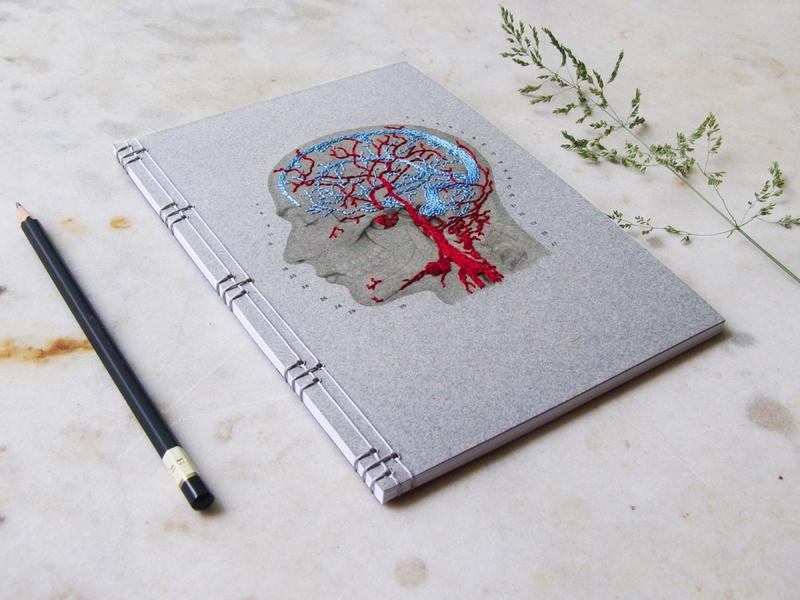 Bound with gray jad string.